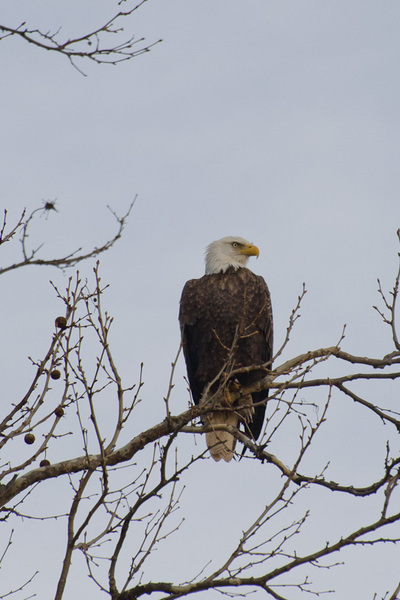 This time of year, the number of Bald Eagles sighted at the dam has been as high as over 150 birds! 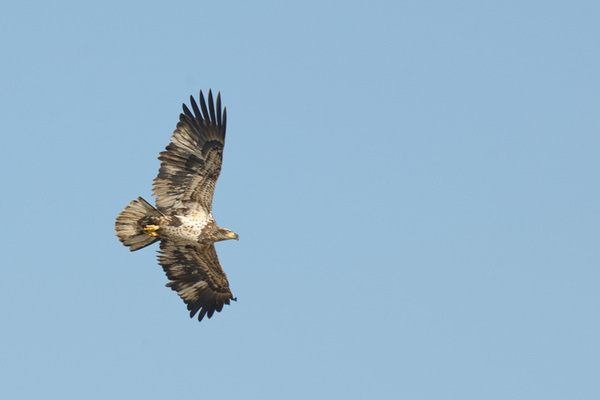 Although the numbers weren't that high on Saturday due to the height of the Susquehanna River, the 30 or 40 adult and juvenile birds we did see were active and quite spectacular. 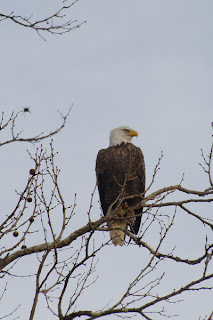 On the island, scores of Great Blue Herons braved the cold and some were actively fishing. The short hike along the old railroad tracks didn't turn up the Winter Wren we so often see unfortunately. Our hosts, Marian and Harry Argentino did not disappoint. Three types of chicken soup were waiting for us at their gracious home along with other goodies. They've promised to host the event again next year, don't miss it!